In a northern English town lives a girl with a secret. Little Voice hides away in her bedroom surrounded by her late fathers’ precious record collection of the great 20th century divas. She escapes into the glamorous world of Marilyn Monroe and Judy Garland whose stylings drift downstairs to a house ruled by her brassy, boozy mother Mari. 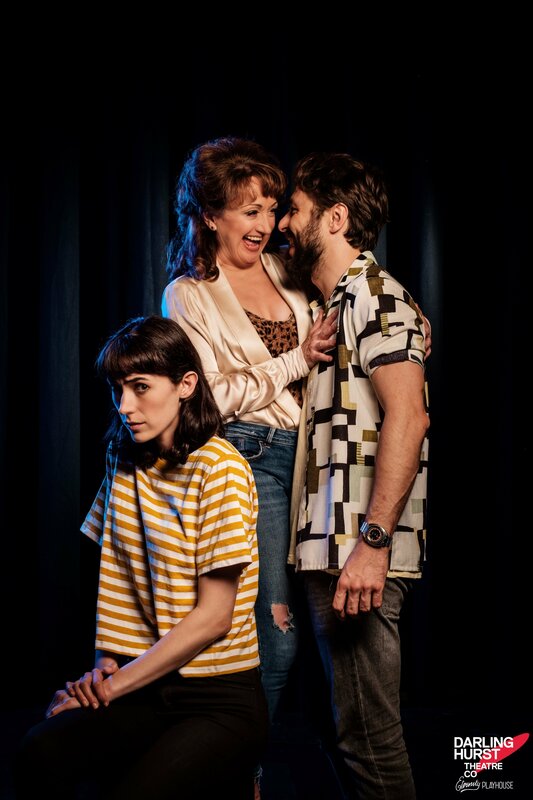 The Big Smoke sat down with stars Geraldine Hakewill and Caroline O’Connor, as well the play’s director Shaun Rennie to discuss the challenges, the goals and the hopes for their upcoming production. 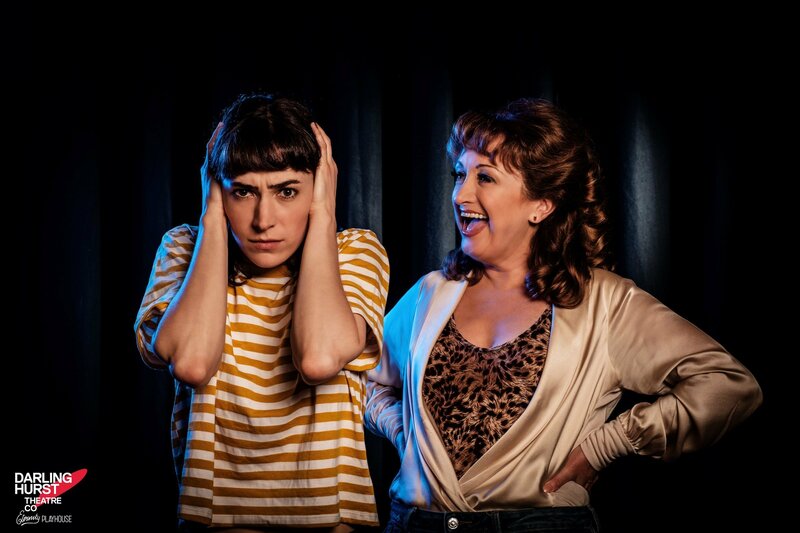 Geraldine Hakewill, this show requires you to be able to mimic an amazing array of musical superstars. Which diva is the most fun? Who is the hardest? Shirley Bassey has definitely been the most daunting and equally the most fun because she is so extreme. What a voice! Hers must be one of the best voices in history, if such a thing is quantifiable. She is so free and confident and full of quirks, and I love inhabiting that, even if it’s a little scary at times! For Little Voice, getting into the mind and music of some of history’s greatest singers is an escape from the real world, but it goes deeper than that. What does the music of Judy Garland, Shirley Bassey and others teach Little Voice about herself? I think each woman allows LV to express a different part of her psyche that she feels she is not able to express when she is simply herself. Judy Garland is all emotion. She wears her heart on her sleeve and feels each note very deeply. Shirley Bassey is confidence, charm and a kind of primal impulse. She doesn’t limit herself and it’s glorious. Billie Holiday is pain and loneliness, expressed in stillness and beauty. Edith Piaf always teeters on the impossible, like she won’t quite reach the note and her heart might break. She is rough around the edges, strong and passionate. Marilyn Monroe is sexuality, femininity and a delight in her own body. They all lived lives touched by tragedy, abuse and loss. They were all exploited in different ways, and they are all unique, extraordinary performers. I think LV sees hope in all of them; that even in the direst of circumstances something beautiful can emerge. What do you hope audiences understand about her as a character? After hanging out with LV, I hope people walk away thinking about the power of the introvert, and how important they are in our world. Not everything that is true, or good, is shouted. We must remember to listen, and we must learn how to listen well. I hope they also think about the idea that not all great talent or beauty has to be milked dry. Sometimes a moment of beauty is just for one person, or a handful of people, and only for a brief moment in time. I think we have become so used to exploiting talents, our relationships and our natural resources to the point of destruction that we’ve forgotten that preserving beauty requires restraint and a lack of greed. I think this play is a good reminder in these consumer-heavy times that less is often more meaningful. Caroline O’Connor, your character, Mari, is a woman aching with lost dreams and unfulfilled potential. You’re one of the greatest and most successful stars of Australian stage and screen. Why were you drawn to play her? What do you think Mari’s journey tells us about the devastating impact unrealised ambition has on us as humans? Mari is an extraordinary woman. A demanding character role that came from British Theatre. She has been played by such luminaries as Alison Steadman and Brenda Blethyn, so I knew it would be a challenge. It’s a huge undertaking because she is such a complicated character. She is loud, hilarious, poetic, pathetic, demanding, desperate, loveless, embarrassing, selfish—to name just a few of her assets and flaws. There are many sides to this woman. When I saw the original play in London years ago, I fell in love with the role and the complexity of Mari. When our director Shaun Rennie asked me to play her, I couldn’t quite believe I was going to get to do this piece during my career. I always enjoy the process of creating a character. Mari and I have nothing in common but bizarrely somewhere deep inside me, Mari has been hiding away. She seems to come out of me quite easily. I hate to admit it, but I love her, even though she is so terribly flawed. She has balls and strength and wants to be loved but lacks any particular talent or ambition. I have always believed in fate myself and I strongly believe that if an opportunity comes you should take it. Quite often people will resist change and the unknown and it is those decisions in that moment that stifle us or change us. If you don’t take any risks in life you will just stay put and never experience any other opportunities. Mari hopes that a man will come along and be the catalyst to take her out of her pathetic lifestyle. Sadly, she never had any ambition or drive to change her own life, so she lacks any hope or future happiness. Central to this play is the often-complicated relationship between mother and daughter. You recently lost your own beloved mother (who was a far cry from Mari); what effect did that loss have on how you approached this role? Has it made you look at that relationship differently? My mother was not like Mari at all. Growing up, my mother always took a great interest in me, and what I did, whereas in the play, it is the exact opposite for Mari and LV. Mari takes very little, in fact almost no interest in LV’s talent or even in LV herself. For me, this is nothing like my own experience of a mother-daughter relationship. Working on this play confirms how grateful I am for the relationship I had with my own mother, which was loving and supportive. You have played a number of real-life divas in your career including Fanny Brice, Edith Piaf and Judy Garland. Did you give Geraldine any tips for getting into their skin? Absolutely not. Geri doesn’t need any tips from me. She is an exceptionally talented performer. It goes without saying, when you are playing beloved stars it is a tremendous responsibility. The amount of work she has put into the divas is so admirable, and I can appreciate her commitment more than most, because I have done it myself many times in my career. Shaun (Rennie—director), Little Voice is an award-winning play which has been performed a number of times since it premiered more than 20 years ago. What drew you to directing it? What do you hope audiences take away from it? 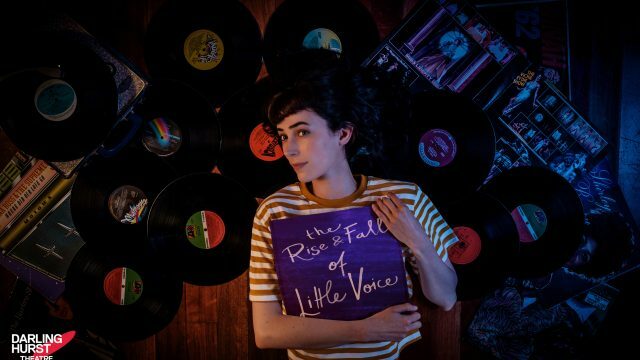 I’ve been aware of Little Voice since I was a kid due to an album I had called “The Further Adventures of Little Voice”, which was how I then became aware of the movie and the play. The play had been on my radar for the last three or four years as something I wanted to direct. It’s a play about a young woman finding her own voice, who speaks to power and speaks to oppressive forces, which is an important aspect of the play in the wake of the #MeToo movement. Even though the play was written in 1992, I hope our production has made it feel more contemporary and relevant, and that our particular production feels as urgent and exciting as when it was first produced. This is an intimate, personal, family story…but do you think its themes of ambition, loneliness and love (to name a few) speak to something wider about 2019 and the world we all live in? Yes, it absolutely does. As I was in production for this, the Brett Kavanaugh hearings were taking place and it became very evident that this play was about the undoing of a particular type of toxic masculinity. This is a strong theme in our world in 2019. The other themes are also universal and Jim Cartwright himself calls it a contemporary fairy tale. The story is timeless and hopefully this production is able to look at those themes through a 2019 lens. You started your career as an actor before moving into directing. What led to this shift? Do you think having an acting background helps as a director? I first started thinking about moving into directing when I started directing an annual fundraising event called Light the Night in 2004. I directed this event for a couple of years and it quickly became my favourite day of the year. I always knew that one day I would want to make that shift into directing. I definitely think that being an actor and a performer gives me great empathy and understanding for the fear actors go through and how vulnerable they are doing what they are asked to do. I believe it definitely helps to have empathy for this. I have such great respect for what actors do. I also used to work as a lighting technician when I wasn’t on stage and that has helped me, as a director, communicate with technicians and designers. The production is on show at the Darlinghurst Theatre from 1-24 February. Bookings can be made here.